Anglher got it’s roots back in 2008 in apparel to fill a void of clothing designed and cut for women. The industry lacked fashionable, functional and fun threads. The brand and gear was a success! We extended our business model to include hosted fly fishing trips and education classes with hopes of building a community of women who wanted to learn, travel and fish in a comfortable environment while enjoying red carpet treatment. 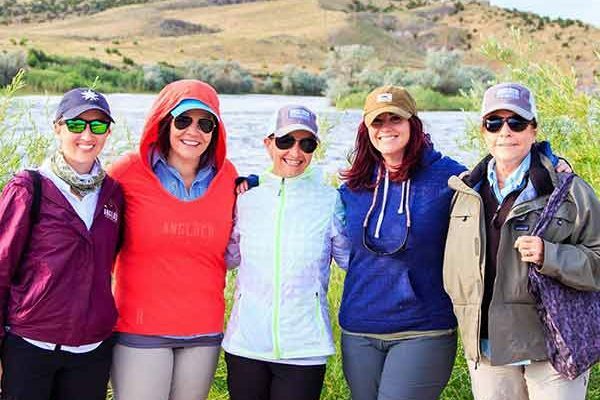 We work with hand selected guide services across the world to create all inclusive, unforgettable fly fishing experiences for women of all skill levels. Our mission is to seek adventure on the water.